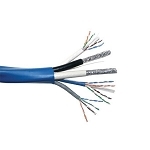 Category data cabling is available in a range of specifications including Cat5e, Cat6, Cat7 and Cat8 with each category representing higher performance. We also offer a range of duct grade, outdoor grade and armoured cables as well as HDBaseT certified category cabling specifically designed to carry HD and 4K signals as part of video distribution systems. Our cabling is sold by the metre with a minimum order of 50m. 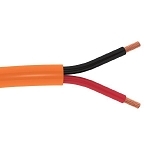 Simply select the category cable you require and enter the quantity in metres.